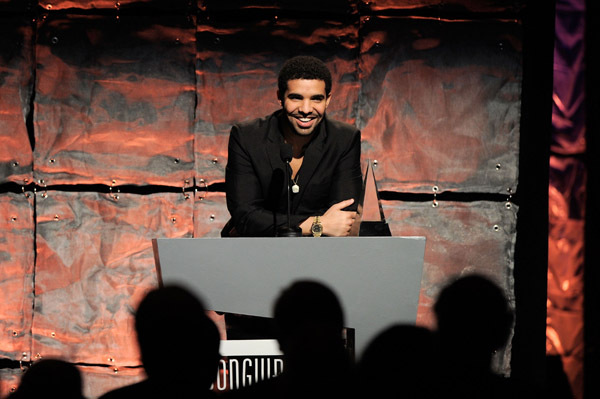 Drake was honored at last night’s Songwriters Hall Of Fame 42nd Annual Induction and Awards Ceremony in New York City. He brought his beautiful mom Sandi as his date to witness him accepting the Hal David Starlight Award onstage. He also performed and hung out with legendary artists like Chaka Khan and Jimmy Jam. Whitney Houston & Chaka Khan Join Prince On Stage! drake deserved it..dude is a beast with his writing..